The most effective strategy for controlling pests may be to combine methods in an approach known as Integrated Pest Management that emphasizes on preventing pest damage. Integrated pest management, or IPM, is a process you can use to solve pest problems while minimizing risks to people and the environment. A well-defined IPM is a program that should be based on prevention, monitoring, and controlling which offers the opportunity to eliminate or drastically reduce the use of pesticides, and to minimize the toxicity of exposure to any products which are used. 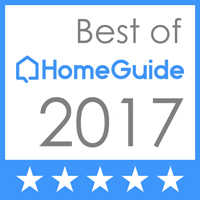 IPM does this by utilizing a variety of methods and techniques to control a multitude of pest problems. By using an IPM approach, we aid in maintaining ecosystem stability while controlling pest problems. Integrated Pest Management is the coordinated use of pest and environmental information along with available pest control methods, including cultural, biological, and chemical methods, to prevent unacceptable levels of pest damage by the most economical means and with the least possible hazard to people, property, and the environment. Integrated is meaning that all feasible types of control strategies are considered and combined as appropriate to solve a pest problem. Pests are unwanted organisms that are a nuisance to human or domestic animals, and can cause injury to humans, animals, plants, and property. Management is the process of making decisions in a systematic way to keep pests from reaching intolerable levels. Cultural controls are practices you can do to discourage pest invasion establishment, reproduction, dispersal, and survival. For example, good sanitation can reduce pest problems. Mechanical and physical controls kill a pest directly or make the environment unsuitable for it. Traps for rodents are examples of mechanical control. Physical controls include for example steam sterilization of the soil for disease management, or barriers such as screens to keep pests out. Chemical control is the use of pesticides. In IPM, pesticides are used only when needed and in combination with other approaches for more effective, long-term control. Also, pesticides are selected and applied in a way that minimizes their possible harm to people and the environment. With IPM you'll use the most selective pesticide that will do the job and be the safest for other organisms and for air, soil, and water quality. The facility will be inspected by Eudaimonia’s Pest Control professional technician for identifying potential problem areas that may be contributing to pest infestation within the facility. Recommendations for corrective measures will be implemented to develop a comprehensive integrated pest management (IPM) plan. The IPM plan will utilize all methods of pest control, which includes structural maintenance, sanitation, monitoring for pest populations, mechanical cultural and chemical control. These methods will help to eliminate pests. Pesticides will not be applied on a routine basis. However, they may be used as a tool. The selection of pesticides that may be used will be based on a hierarchy, which will utilize least toxic products as first choice. Proper implementation of this program will reduce the volume, toxicity and frequency of application of pesticides, thereby reducing the risk of potential exposure of building occupants who may be sensitive to their use. Once these areas have been identified, Eudaimonia’s Pest Control technician will determine the speed of control necessary as well as action levels based on pest population and species. Service calls include a visual inspection of potential problem areas and monitoring devices, also application of pesticides where pest populations exceed their threshold levels. Records will be completed at the conclusion of each service call. 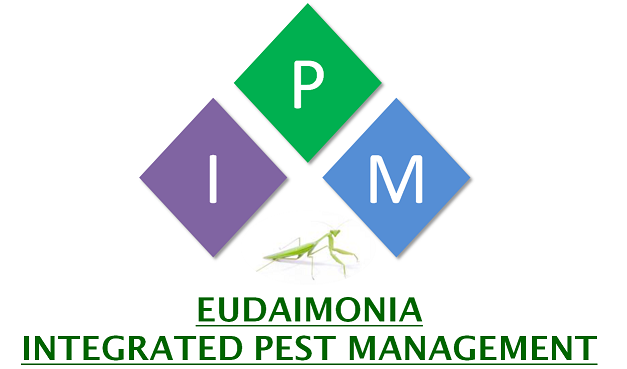 Eudaimonia Pest Control will provide you with service records either electronic or hard copy. Monitoring: includes regular inspections and trapping to determine the type and infestation levels of pests at each site. A record-keeping system is essential to establish trends and patterns in pest outbreaks. Information recorded at every inspection or treatment includes pest identification, population size, distribution, recommendations for future prevention, and information on the treatment action. Preventive measures must be incorporated into the existing structures and designs for new structures. Prevention is the primary means of pest control in an IPM program. Tactics Criteria under IPM, chemicals should be used only as a last resort only. A regular evaluation program is essential to determine the success of the pest management strategies.